This ended up as Oakland’s first win of the season, with Latavius Murray breaking off one long TD and one short one for a huge fantasy day on only 4 carries. Andre Holmes was the most targeted WR with 10, while James Jones was the most effective with 47 yards and a TD. 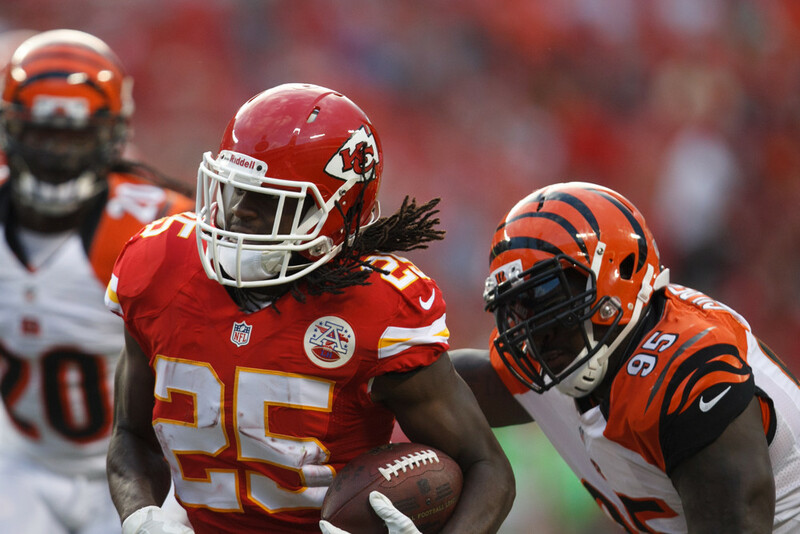 The Chiefs were not very effective running the ball, with Jamaal Charles managing just 80 yards on 19 carries. Charles did find the end zone as a receiver and was the most targeted player on the Chiefs with 7 targets. Mike Wallace had great production in the 3 matchups, with the most yards, fantasy points, and targets for the Dolphins receiving core in each game. The Dolphins were unusually effective running the ball Week 1, but they have since lost their best offensive lineman Brandon Albert as well as their best running back Knowshon Moreno. Julian Edelman had the best fantasy day of his career Game 2 of 2013, recording 13 receptions for 139 yards and a TD on a whopping 19 targets. Edelman did almost nothing in Game 1, but that was mostly because Tom Brady only completed 13 passes. Edelman was solid again this year with 6 catches for 81 yards, but Rob Gronkowski led the team with 11 targets, only catching 4 of them. Football Outsiders ranks Miami as one of the best defenses against the deep ball, but poor against short passing, so Edelman’s success against them certainly makes sense. The Patriots were not effective running the ball against Miami this year, but had decent success in the 2 games last year. The Chargers had a strong commitment to running the ball and killing the clock against the Broncos last year, averaging only 24.5 pass attempts. That was not the case this year, as the Chargers threw the ball 41 times compared to only 15 runs, but the Chargers trailed most of the game. Keenan Allen was a TD machine in these matchups, managing 3 in the latter two games. He was also by far the most targeted WR in the matchup this year with 13. Antonio Gates also found success against the Broncos, with 2 TDs in the matchup this year, and was the most targeted receiver in Game 1 last year. WR2’s on the Broncos had multi TD games in two out of the three games. Andre Caldwell led the way in Game 2 of 2013 with 2 TDs and 59 yards receiving, while Emmanuel Sanders had a monster 120 yard, 3 TD game this season. The running game was quite effective for the Broncos, with nearly 140 yards and 2 TDs, averaging just under 5 YPC. The San Francisco offense was anemic in all these matchups, with Colin Kaepernick averaging 2 INTs and 3 sacks a game. No one was effective and no one on this team is worth playing on the road with a 14 point projection. Seattle was unusually effective running the ball against a stout 49ers run defense, as Marshawn Lynch managed over 300 yards and 4 total TDs in the 3 games. Lynch should get a big workload as the Seahawks are 10 point favorites this week. The normally pass heavy Eagles ran the ball down the Cowboys throats all games, with LeSean McCoy 6.4 YPC, and rushing for 159 yards and a TD, and the team running for over 250 yards and 2 TDs. They still managed above average days from their top 2 WRs, with Maclin topping 100 yards and 10 targets, while Jordan Matthews had 51 yards and a TD. Demarco Murray had a lot of fantasy points relative to the 10 points the Cowboys managed on offense. Murray had only 73 yards rushing with a TD, but added 6 catches for 40 yards. Dez Bryant and Cole Beasley led the Cowboys with 7 targets, but Bryant only managed 73 yards and was held without a TD. Still, this is a very juicy matchup for Cowboys WRs, and Bryant is one of my top plays this week.